Don’t let a little rain get in the way of a great vacation! When you stay with us, you’ll always have something fun to do, right from the comfort of your own cabin. If you’re expecting inclement weather during your stay, here are 5 rainy day activities that you can enjoy in our cabin rentals in Wears Valley. We understand that pets are family too, which is why we offer a variety of pet-friendly cabins! Nothing makes a place feel more like home than having your furry friend by your side. You can spend the afternoon playing with them or teaching them new tricks. You can cuddle up on the comfortable furniture with them as you listen to the rain. Just remember to pack the essentials like their favorite food, treats, and toys. Having familiar meals and items around will make them feel more relaxed. 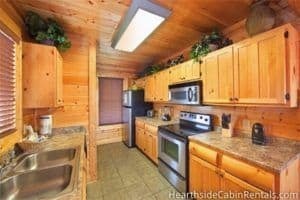 You and your family can cook all of your favorite recipes when you stay in one of our cabins with a fully-equipped kitchen! A rainy day presents the perfect opportunity to bake some delicious treats. This is an especially fun activity for the kids because they are learning how to cook while spending time with family. There is room for quite a few people in the kitchen as well, meaning you can all enjoy this activity together. The refrigerators are also very spacious, so there is plenty of room for all of your ingredients and leftovers! If you are in need of a little rest and relaxation, look no further than your own cabin! You can stay nice and toasty as you curl up next to the fireplace and read a good book. Enjoy a relaxing soak in one of our cabins with a hot tub as you take in the beautiful mountain and wooded views. If you would prefer to be indoors, there are also cabins with jacuzzis that you are sure to love. 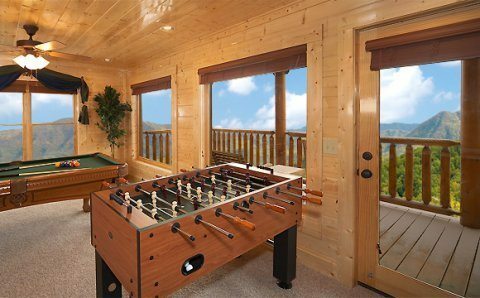 Our cabins that come equipped with a game room offer hours of fun for the kids and the kids at heart. If your group is large enough, you can even organize your own pool tournament. While you are waiting for your turn to compete, you can have a blast playing foosball, air hockey, or arcade games. Grab the popcorn and a comfortable seat for a family movie night or Netflix marathon in one of our cabins with a home theater. The large, high definition screens make it easy for everyone to see and enjoy whatever you are watching. There are also flat screen TVs located throughout our cabins so that if you want to watch something different than the rest of your family, you can! Rain or shine, there are always fun things to do in our cabins in Wears Valley! 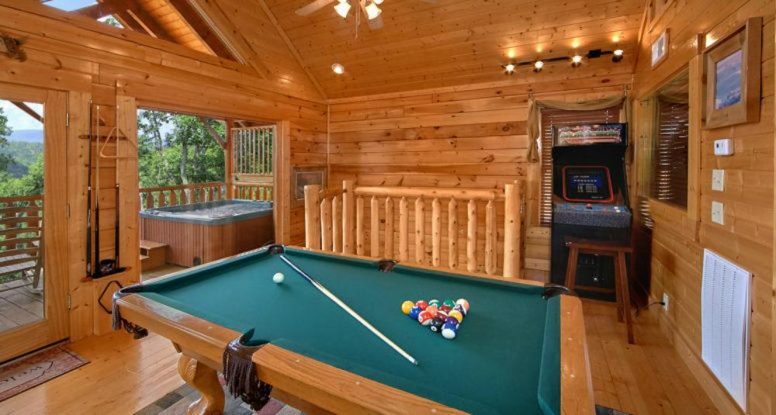 Start planning your next trip to the Smokies today and browse our fabulous selection of cabin rentals.